The Arizona Infectious Disease Resource (IDAZ) mobile app won a first place award in the professional category for the Health Education Media Maker Yearly Award (HEMMY.) 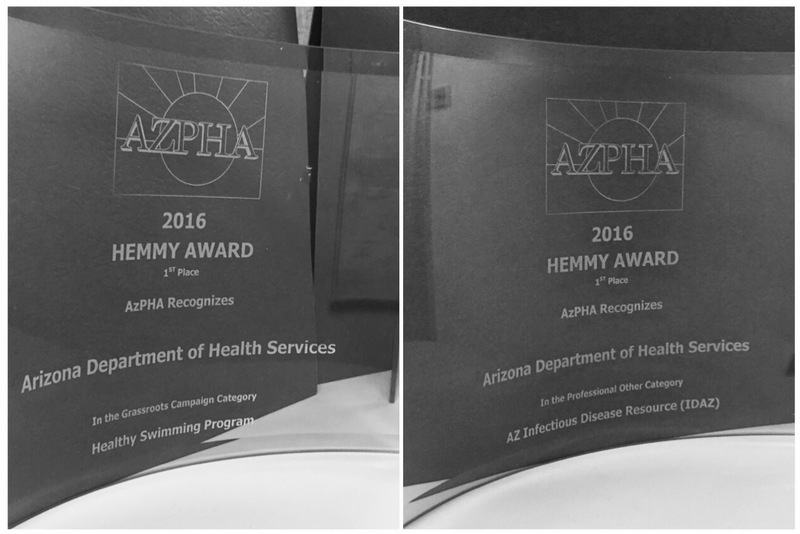 The HEMMY award recognizes health education or patient education material produced in Arizona. IDAZ is a free mobile app—found in the Apple and Google Play stores—where Arizona healthcare providers can get the latest news and public health recommendations about infectious diseases in the state. The app also features a comprehensive list of infectious diseases with descriptions about whether it’s something that we commonly see in Arizona, common transmission pathways, and whether a vaccine is available in the United States. 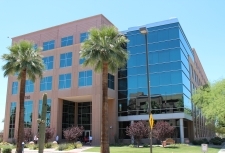 Each year, the Arizona Public Health Association presents several awards to recognize the great achievements in public health across Arizona. Our Healthy Swimming Campaign also earned a first place HEMMY award in the grassroots campaign category. The campaign features “Mr. Crypto,” a pool monster, in a 14-page activity booklet that educates children about healthy swimming. The campaign also features the annual Healthy Swimming Poster Contest. More than 50 Arizona children and teens submitted posters that promote healthy swimming behaviors. The Association also awarded the Harold B. Woodward Award to Sheila Sjolander for her outstanding work for the advancement of public health in Arizona. 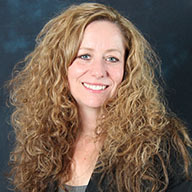 Sheila is the Assistant Director for Public Health Prevention. Among her many accomplishments, Sheila is a statewide expert and leader in addressing prescription drug abuse and misuse, which is one of our top priorities in Arizona. Congratulations and thanks for all of your contributions to a healthy Arizona.